A chill has settled in on our town… making me think of hearty, warm soups. And you know what that means… it’s got me thinking about all of those delightful children’s books about soup as well! 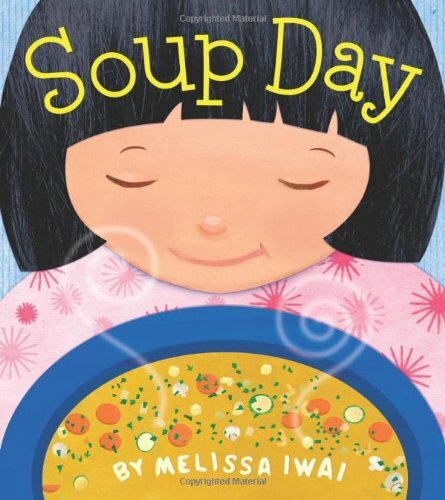 When we first discovered Soup Opera, we instantly fell in love with this child’s book about soup! But this is definitely one of those books you should get the audio CD with — it makes reading the book a completely different experience. 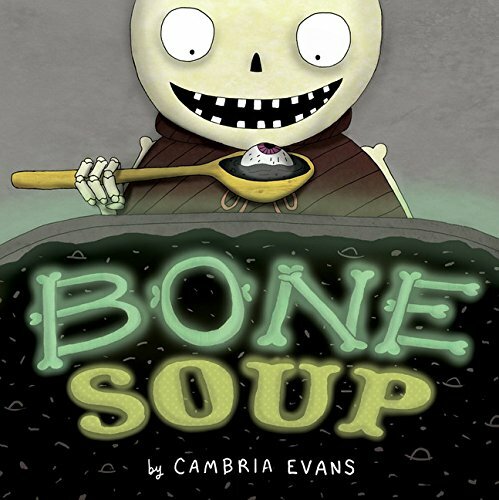 We’re also huge fans of Bone Soup. Even though it’s the perfect book for Halloween, we’ve ended up reading it throughout the year. 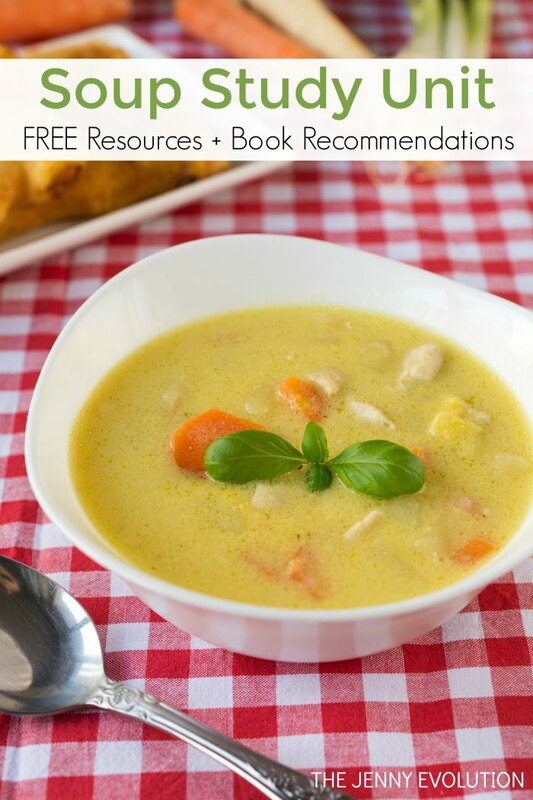 And it wouldn’t be a complete reading book list without Stone Soup, of course! 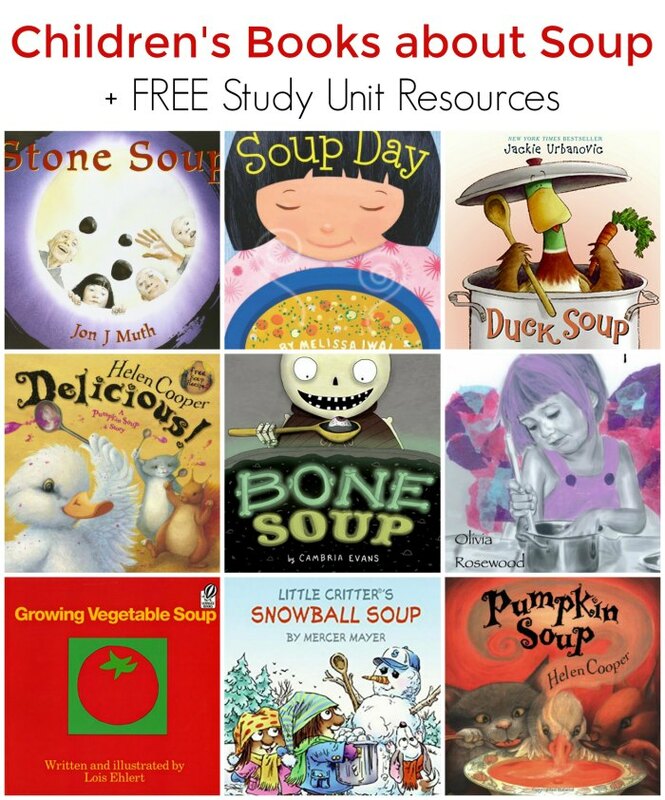 In addition to offering recommendations for children’s books about soup that kids will love and learn from, I’ve teamed up with some fellow bloggers to offer you homeschool and in-class soup unit study ideas! 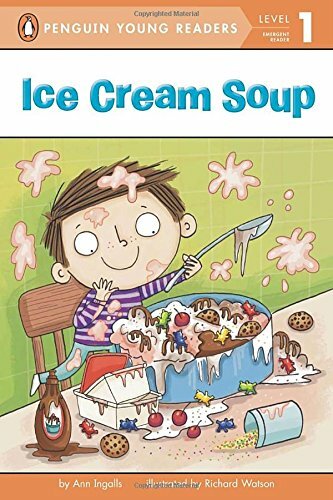 You can find these children’s books about soup at your local library or purchase through the affiliate links provided for your convenience. 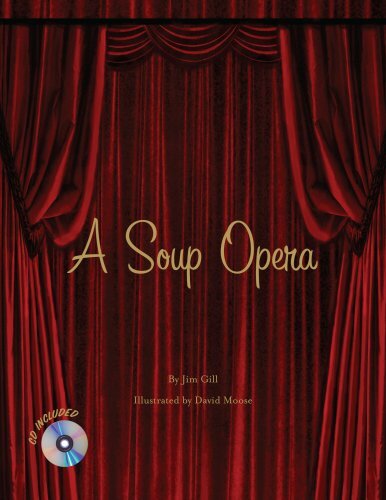 A Soup Opera: A Soup Opera is a richly illustrated story about a man, a bowl of soup, and the man’s comically frustrating quest to eat that soup. Characters in the cast of the opera include a waiter, a police officer and the President of the United States! Each book is packaged with a fully orchestrated CD that includes the narration, dialogue and instrumentation for the comic opera. The CD includes additional tracks created for teachers and others to use in dramatizing the book with children. Stone Soup – Audio (Read Along Book & CD): Three strangers, hungry and tired, pass through a war-torn village. Embittered and suspicious from the war, the people hide their food and close their windows tight. That is, until the clever strangers suggest making a soup from stones. Intrigued by the idea, everyone brings what they have until– together, they have made a feast fit for a king! 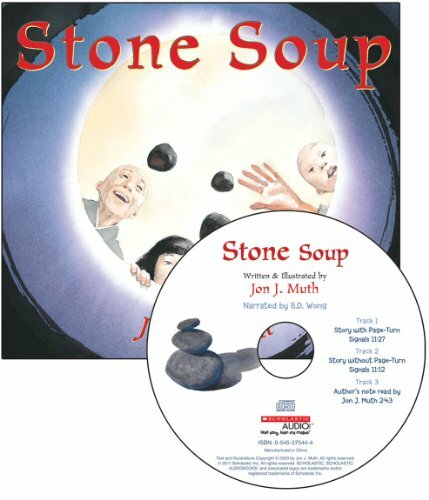 Award-winning artist and author Jon J Muth retells the favorite tale of a selfish community who is tricked into creating a delicious soup from stones. Bone Soup: Known across the land for his infamous appetite, Finnigin is never seen without his eating stool, his eating spoon, and his gigantic eating mouth. Mouse Soup: Weasel is ready for his dinner, and poor Mouse is it. 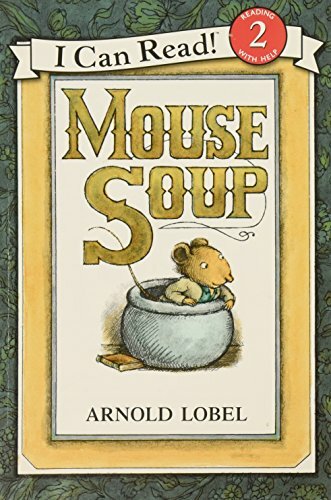 Can he stop the weasel from serving up mouse soup for supper? 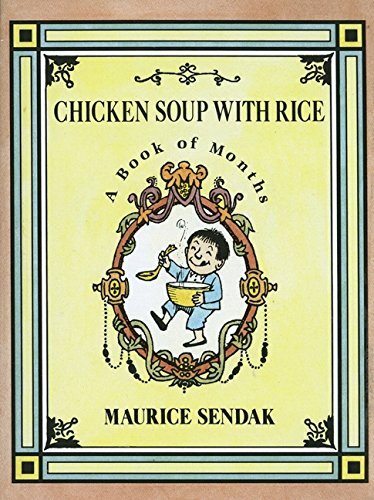 Chicken Soup with Rice: A Book of Months: Each month is gay, each season nice, when eating chicken soup with rice. 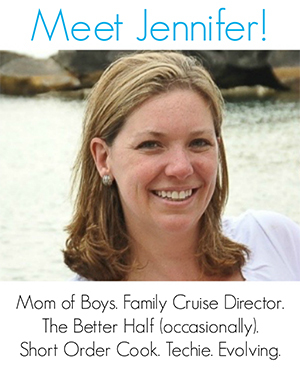 From the author of Where the Wild Things Are. 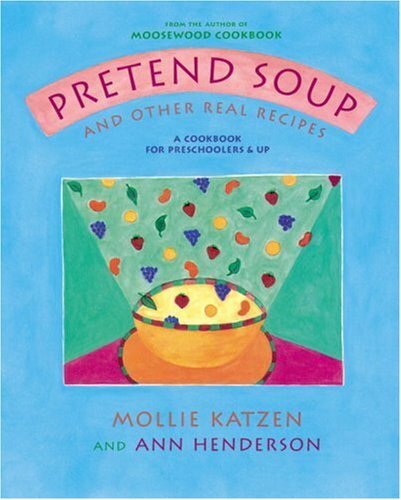 Pretend Soup and Other Real Recipes: A Cookbook for Preschoolers and Up: Award-winning author/illustrator Mollie Katzen works her magic with 20 new, child-tested recipes including such delicacies as Counting Soup, Chewy Energy Circles, and Polka Dot Rice. Each illustrated recipe offers the child chef the opportunity to count, measure, mix, assemble, and most important, have fun. Designed as do-together projects—with the child as chef and the adult as assistant—these kitchen adventures will give children confidence in their cooking skills and inspire a life-long healthy relationship with food. Gratitude Soup: Violet the Purple Fairy learns how to make Gratitude Soup by thinking of all the things, people, places, and experiences that she is grateful for, putting them in an imaginary soup pot. She is able to shrink her pot of soup with her imagination, and she keeps the gratitude warm and flowing in her heart all day and all night. 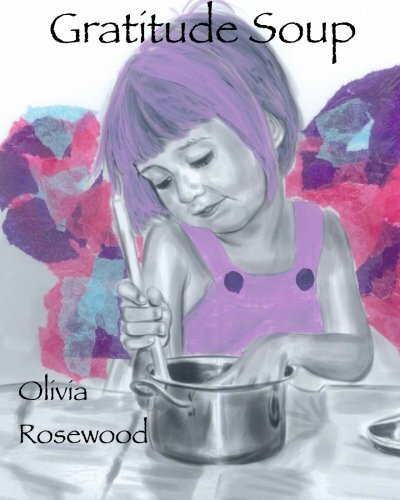 Perfect for teaching your children about gratitude with fun and play, this rhyming, colorful 8×10 picture book combines collage and watercolors as Violet the Purple Fairy tells her own story of cooking with gratitude. Your children might even be inspired to make their own Gratitude Soup! 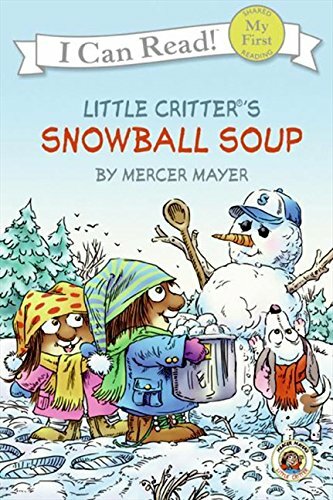 Snowball Soup (Little Critter, My First I Can Read): What does a snowman like to eat? Snowball soup, of course! Join Little Critter®, Little Sister, and Dog as they make their new friend a tasty treat. 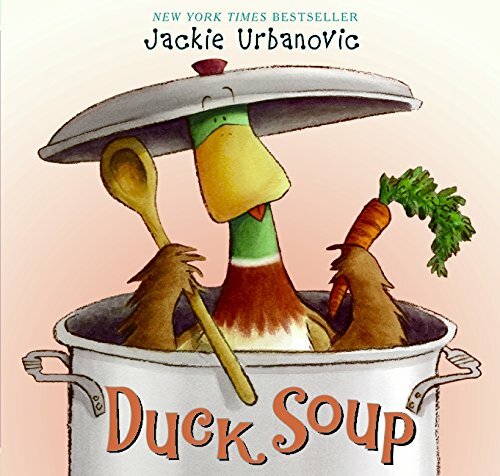 Duck Soup (Max the Duck): Max the duck is cooking up an amazing soup. But what’s this? A feather floating in the soup! And where’s Max? Brody the dog, Dakota the cat, and Bebe the bird race about in their hilarious search for the missing Max. But remember, sometimes things just aren’t as they appear. Delicious! (Pumpkin Soup): Every day, Cat, Squirrel and Duck make pumpkin soup — the best you’ve ever tasted. But one day, disaster strikes — there isn’t a single ripe pumpkin to be found! So they make fish soup, mushroom soup and beetroot soup. But will the new soups be as delicious as their favourite? Duck doesn’t think so — in fact he won’t even try them! Poor Duck gets hungrier and hungrier and grumpier and grumpier, until at last Cat comes up with a soup that might just be…delicious! Soup Day: On a cold, snowy day, a young girl and her mother shop to buy ingredients for vegetable soup. At home, they work together―step by step―to prepare the meal. While the soup is cooking, they spend the time playing games and reading. Before long, Daddy’s home and the family sits down to enjoy a home made dinner. This book celebrates the importance of making a nutritious meal and sharing in the process. Pumpkin Soup: Deep in the woods in an old white cabin, three friends make their pumpkin soup the same way every day. The Cat slices up the pumpkin, the Squirrel stirs in the water, and the Duck tips in just enough salt. But one day the Duck wants to stir instead, and then there is a horrible squabble, and he leaves the cabin in a huff. It isn’t long before the Cat and the Squirrel start to worry about him and begin a search for their friend. 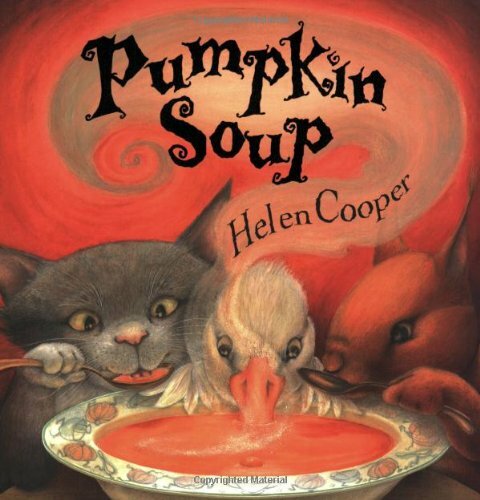 Rendered in pictures richly evoking autumn, Helen Cooper’s delightful story will resonate for an child who has known the difficulties that come with friendship. Included at the end is a recipe for delicious pumpkin soup. 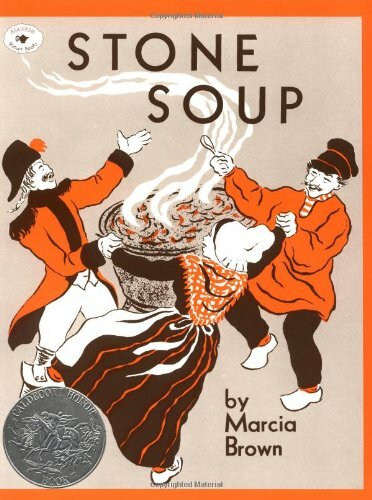 Stone Soup (Aladdin Picture Books): Clever soldiers outwit greedy townspeople with the creation of a special soup in this cherished classic, a Caldecott Honor book. First published in 1947, this picture book classic has remained one of Marcia Brown’s most popular and enduring books. This story, about three hungry soldiers who outwit the greedy inhabitants of a village into providing them with a feast, is based on an old French tale. 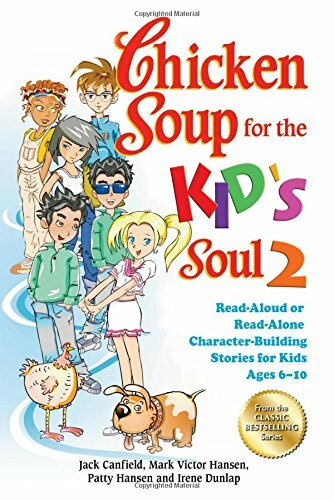 Chicken Soup for the Kid’s Soul: This book, designed for kids ages 6-10, features true, character-building stories for kids to enjoy alone or with their parents. 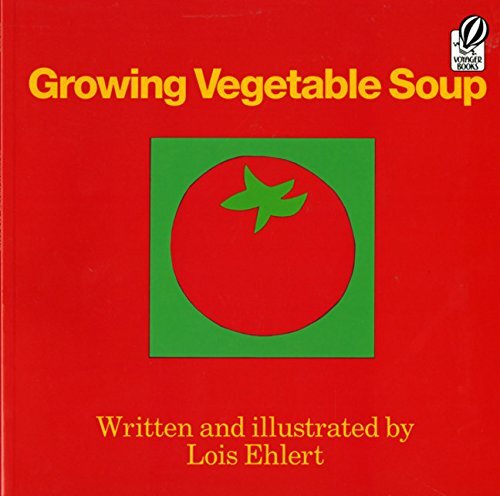 Like these children’s books about soup? Find even more engaging book lists for kids with more than 100 book-themed reading lists! 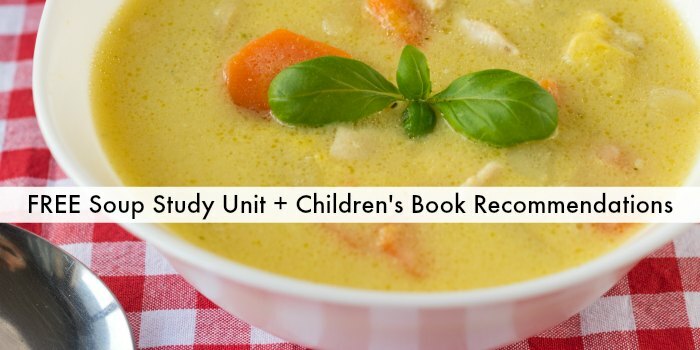 In addition to offering recommendations for children’s books about soup that kids will love and learn from, I’ve teamed up with some fellow bloggers to offer you homeschool and in-class soup unit study ideas!